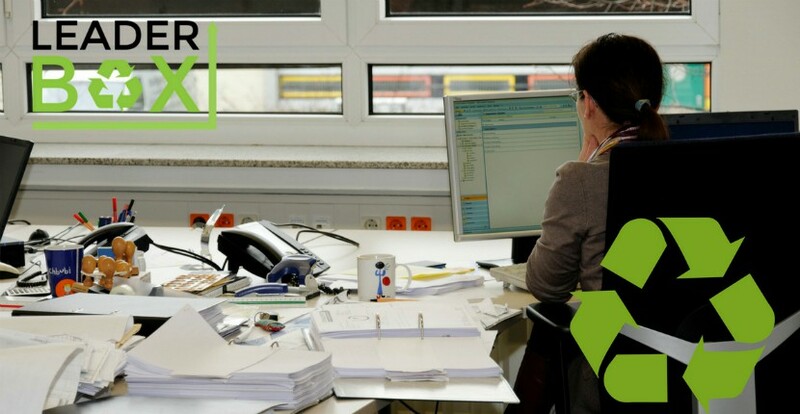 Recently, there has been a big push to move environmentally friendly practices in the workplace. Consumers are looking to do business with companies that are eco-friendly. Has your company put any environmentally friendly practices in place? Whether you have or you haven’t, you can check out some of our tips below to reduce waste at your company this summer. Reuse When You Can – Reusing is the first step to reducing the amount of waste your company produces. If you can use boxes or materials more than once, you will have less waste, and you will save money. Take a look at the materials your company uses everyday and see if there is a way to reuse anything. At Leader Box Corp., we are big believers in reusing. In fact, we sell used boxes. We do this because it is more affordable to our customers to buy used boxes, and we also do it because reusing materials is better for the environment. If you think you want to buy used boxes from us at Leader Box, let us know! Use Space Wisely – When you are packaging, you probably have a system for the way you pack things, but it is the most efficient way to do so? Make sure you use your space wisely and pack efficiently. This can help you reduce packaging waste and fit more product into less space. That will help you reduce the amount of materials you need to buy, so you can save money and reduce waste at the same time. Be Smart About Your Packaging Materials – This point may sound like we are going to tell you to go out and buy packaging materials. That is actually the opposite of what we will say here. You don’t necessarily have to use fancy packaging materials, but, instead use materials that are better for the environment. What do we mean by that? Well, that could mean a few different things. It could mean that you reuse materials for your packaging liked used shredded paper that you may already have lying around. It could also mean that you use less packaging materials when possible. Think about the waste that happens with your packaging, and try to make a choice that is slightly better for the environment. These were just three simple tips to help your company reduce waste this summer. Do you think you can take those on? We think you can! At Leader Box Corp., we can help you make your company more environmentally friendly by selling you used boxes. We have been in the packaging industry since 1950, and we pride ourselves on some of our environmentally friendly practices like selling and buying used boxes. With used boxes, you save money, and we both save the environment. Contact us today if you are interested in learning more about our packaging supplies and more!